My trip to a local apple orchard on Sunday yielded a half bushel (aka 25 lbs) of freshly picked apples and the overwhelming urgency to bake an apple pie! In my book, no variation of apple pie beats the classic, and this recipe is taken from my great-Grandma: certainly fitting! However, I did add a crumble topping to the pie because I couldn't resist that crunchy oat topping. The result was this Apple Crumble Pie. Feel free to scratch the pie crust for a lighter dish, but keep it if you want that hearty, deep dish pie result. Simple, delicious and seasonal, this pie is a ton of fun to bake. Experiment with an apple corer/peeler like this if you get the chance, but an old-fashioned by-hand peel and core gets the job done too. Make sure to pack in the apples tightly and fill the pie as high as you can; the more layers of apple slices, cinnamon, sugar and butter you can pile, the better. 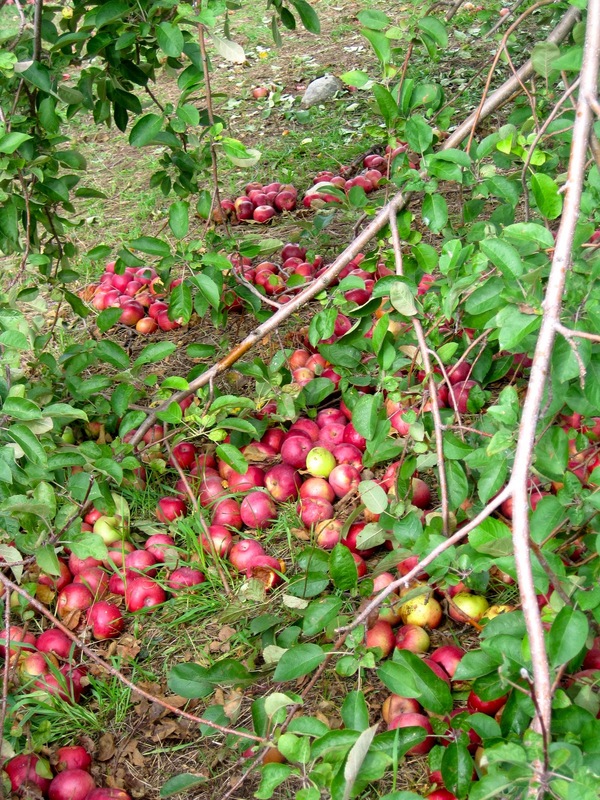 You can use Sustainable Table's Eat Well Guide to search for a local apple-carrying farm or market. Just type "apple orchard" under keywords, and guide your search by zip code! 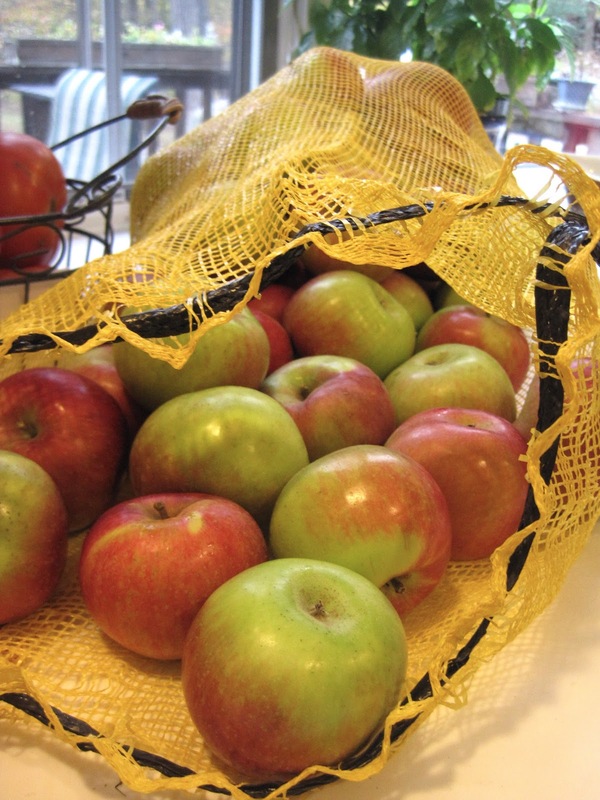 If you can't make it to an orchard, many grocery stories like Trader Joe's sell bags of fresh farm-picked apples for a reasonable price. In apple overload? Check out the Cooking Channel's Best Apple Harvest Recipes for a bounty of recipe ideas on how to use the fruit in sweet desserts and savory meat and vegetable pairings alike. 1. Preheat oven to 425 degrees. Peel, core and thinly slice apples, set aside in a large bowl. 2. Combine sugar, flour, cinnamon, and salt in a small bowl. Divide mixture into thirds: Spread one-third over pastry lined pan. Add half the apples, layering tightly, and sprinkle one-third sugar mixture over the apples. Add the second half of the apples and coat the top of the pie with the final third of sugar mixture. Sprinkle lemon juice and dot with butter. 3. 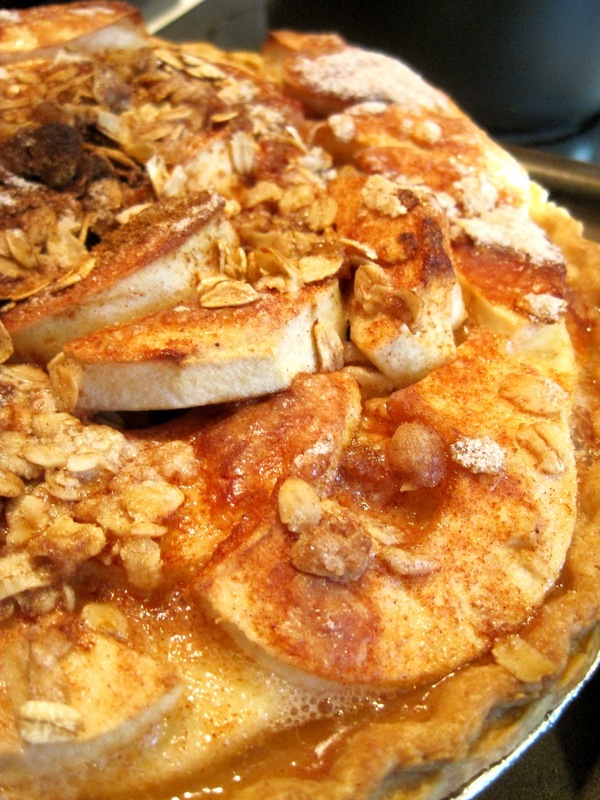 Assemble the crumble topping by combining oats, nuts (optional), flour, sugar, nutmeg, and cinnamon in the same bowl used to create the sugar mixture for the pie. Mix in butter with fingertips until mixture is crumbly. Sprinkle evenly over pie. 4. Bake pie for 30-40 minutes, until apples are mushy and slightly browned, and juices are bubbling. Serve warm. 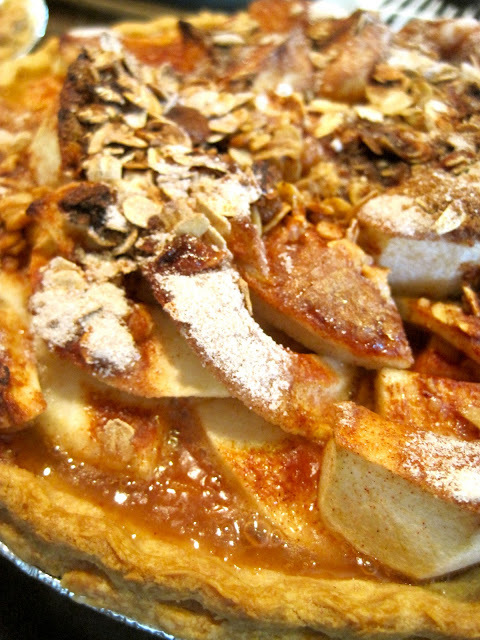 For the full out apple pie experience, top each slice with a generous scoop of vanilla ice cream a la mode! 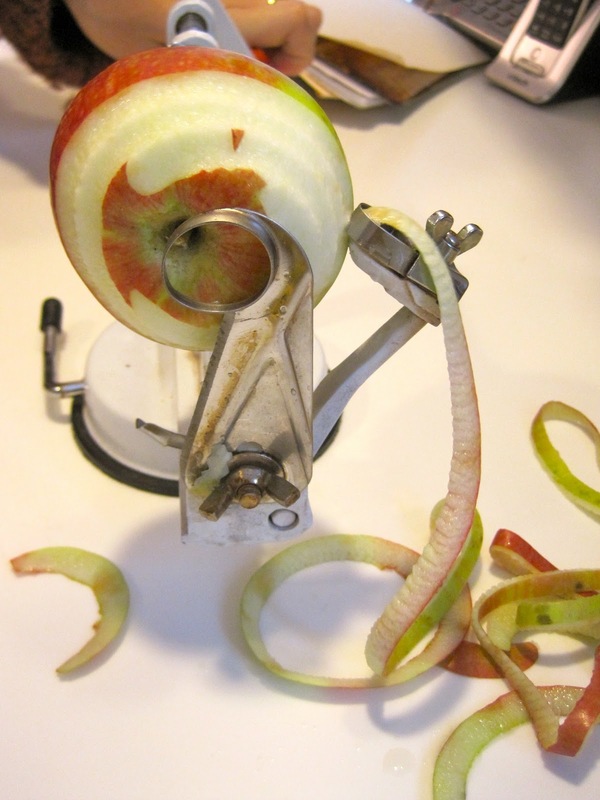 That apple peeler is awesome! I want one of those! :) This pie looks absolutely scrumptious... great way to use those apples!